If you rent to active-duty military personnel, you need to know the SCRA rules on eviction. Whether it was ignorance of the law or an attempt to flout it, a real estate development and management company recently ended up with a bill from the Department of Justice for $200,000 for violating the SCRA when it evicted four active-duty servicemembers. 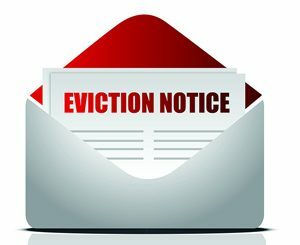 An agreement with the DoJ requires the company to pay $35,000 to each evicted servicemember, plus $60,000 to the government in fines. It is surprising that any established company would either not be aware of the SCRA rules or think that it could get away with violating them. The SCRA offers a host of protections to active-duty servicemembers, one of which safeguards them against eviction. The intent of the law is to allow servicemembers to concentrate on their jobs without worrying about paying bills. The SCRA requires creditors of delinquent servicemembers to obtain court orders before proceeding with any legal action. In the case mentioned here, the DoJ said that not only did the company initiate and complete the eviction proceedings without the court order, but it failed to inform the court that the absent defendants were deployed servicemembers. This is the first time the DoJ sued a rental-property company over SCRA violations, though it settled its lawsuit last year with five major banks that wrongfully evicted servicemembers over unpaid mortgages. The banks agreed to pay, collectively, over $123 million in restitution to the evicted military personnel. A storage facility, $170,000, for selling the belongings out of a storage locker rented by a deployed servicemember. As you can see from the list of payments and fines above, the DoJ doesn’t only go after bigwigs. No company is too small. Don’t let it be yours. Before filing suit or taking out liens, you must find out if your debtor is a servicemember. Skipping this step can violate the law and may be costly. You can write to each branch of the military for this information, but you’ll wait a long time for it. The Army, for example, says that it does not have the resources to even reply at this time. You can also go to the DMDC, but, unless you have the social security number of the person, the response will come with a disclaimer saying it might not be accurate. You’re better off using a private company like the Servicemembers Civil Relief Act Centralized Verification Service. For only $36.40 and within 24 hours, you get confirmation of whether your debtor is a servicemember. You can get a hand-prepared, notarized affidavit (some courts prefer these) for an extra $20.